Paul is making a transition in this short section. For the first two chapters he was laying the foundation of his theology – the centrality and supremacy of Christ. From here through the rest of the letter he will be working out the practical implications of that doctrine. The revelation of the mystery of God – which is Christ himself – effects sweeping change in the lives of those who believe. One cannot simply hear the good news of the death and resurrection of Jesus and go on as if nothing has happened. The whole world has been turned upside-down! The appropriate response to the Gospel is repentance – to turn around and follow the way of Jesus. The resurrection is both the beginning and the direction of the way of Jesus. For Paul, the resurrection is an event in which all true believers participate. While Christ has been raised from physical death, Christians are raised from spiritual death when they confess and are baptized. Baptism is the physical symbol of the spiritual reality that the Christian has been brought from death to life. The resurrection is both the beginning and the direction of the way of Jesus. Believers participate in the full story of the Gospel. We have died with Christ (2:20), and now we have been raised with Christ. The way of Jesus is participatory. It is not enough to say that Jesus has died for us; the true story of the Gospel is that, by faith, we have died with him. 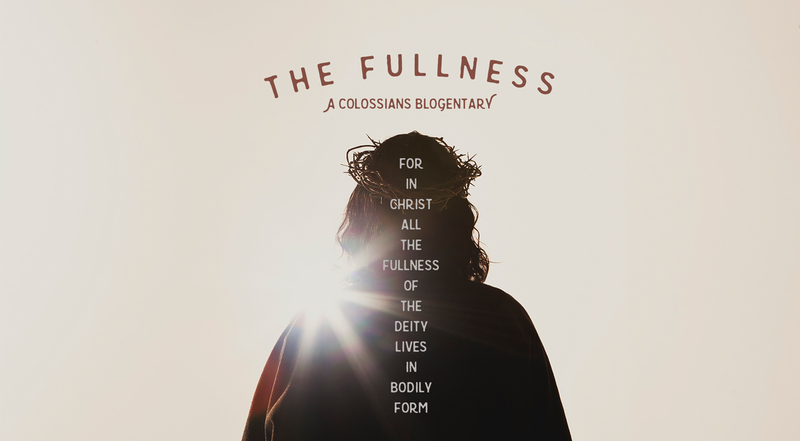 We have died to the old way of life, which, according to Colossians 2 comprises all the pointless toiling of Christless religion, and which, according to Colossians 3, is steeped in sinful desire and behavior. The new way of life – the way of living that we experience when we are raised with Christ – is centered around Christ and abounds in virtue, freedom, and hope. The first verse of this section requires two explanations. First, what does it mean that believers have “died with Christ?” In Paul’s language, to die with Christ means to be crucified with him. In other words, believers participate, in spirit, in the death that Jesus experienced in his body. This is what is symbolized in our baptism. We are buried with Christ in death as we go under the water, and we rise again to new life as we come out of the water. Second, what does Paul mean when he talks about “the elemental spiritual forces of this world?” Interpretations vary. Several translations use the phrase “elemental spirits,” while other commentators use the term “basic principles.” In their respective translations, N.T. Wright and Eugene Peterson opt for “worldly elements” and “pretentious and infantile religion.” It is difficult to say, with precision, what Paul had in mind, but he seems to be talking about paradigmatic human spirituality, which is always full of rules but devoid of spiritual value. Humanity’s basic and universal efforts to be better are useless, and therefore ought to be rejected. Humanity’s basic and universal efforts to be better are useless, and therefore ought to be rejected. This type of life, bogged down by religious rules and regulations, belongs to the old way of living. When we die with Christ, we die to the fruitless human efforts to become more than we are. Growth, which we have seen earlier in this chapter, is only possible through the power of, and connection to, Christ. Humanity’s rules, which sound like a list of Don’ts, don’t have lasting value because they only function within this world. This kind of asceticism doesn’t actually make us better, because “asceticism has to do with the rudiments of the world and not the riches of the kingdom.”[i] Asceticism, whether Jewish or pagan, cannot teach us about the kingdom of God because it does not deal with the things of the kingdom. It is focused, often with laser-like precision, on the things from which we must abstain in this life. “Do not handle! Do not taste! Do not touch,” Paul mocks. But abstinence from food or drink do not, in and of themselves, bring us closer to God.